With HD cameras continuing to get smaller and smaller, support gear continues to follow suit. The team behind the Aviator managed to create an incredibly portable jib system that can easily fit within the average backpack while still providing a good range of motion. 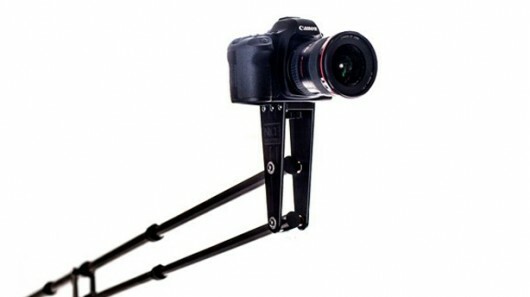 The Aviator Travel Jib compacts down to 24 inches, extends to 6 feet, weighs less than 3 ¾ pounds (supporting cameras up to 6lbs!) and sets up in under a minute. Jump on over to their Kickstarter page to pick one up for less than retail.